When researching the logo for UNITY, I went quite deep into religions (click the logo on my blog, then the logo on the UNITY page; or just click here). One would not be wrong with saying that this is a hobby of mine, quite evident to readers who have been with me for a while. Then something interesting happened … by chance I re-discovered Confucianism, which is classified a philosophy rather than a religion (what is a religion? I reckon if it has a God, it’s damn well a religion; a bunch of gods will do too). Not so Confucianism (as with Buddhism). No God there, in fact, the reason why Confucianism resonates with me is that it is described as a humanistic philosophy, a rationalistic way of governing or a way of life. Throughout my book I quote Confucius; indeed, I refer to his teaching in my opening statement, which I deem the most profound insight ever. confronted with it, they can’t deal with it. The core of Confucianism is humanistic, it espouses the concept of "the secular as sacred”. Confucianism regards the ordinary activities of human life - and especially in human relationships - as a manifestation of the sacred, because they are the expression of our moral nature. Confucius put particular emphasis on the importance of the family and social harmony, rather than on an other-worldly source of spiritual values. The this-worldly concern of Confucianism rests on the belief that human beings are fundamentally good and teachable, improvable and perfectible through personal and communal endeavor, especially self-cultivation and self-creation. Confucian thought focuses on the cultivation of virtue and maintenance of ethics. Some of the basic Confucian ethical concepts and practices include "benevolence" or "humaneness" and are the essence of the human being, which manifests as compassion. Confucianism is the upholding of righteousness and the moral disposition to do good; a system of ritual norms and propriety that determines how a person should properly act in everyday life, with the ability to see what is right and fair (or the converse) in the behaviors exhibited by others. Confucianism holds one in contempt - either passively or actively - for failure to uphold cardinal moral values. As regards the words of Confucius, the "Analects," a book written by followers of Confucius after his death, contains his thoughts and conversations, if not his precise words. Now-a-days he is ascribed many sayings, but any quote attributed to Confucius must be taken in the proper spirit, as a paraphrase representing his sentiments, not as an exact transcript. Confucius would most likely approve, as he saw himself as a transmitter who invented nothing. Confucius (551 BC to 479 BC) was born in China, during the Spring and Autumn period of Chinese history. His family belonged to a class between the aristocracy and the common people. People in this class had to rely on their skills, rather than on nobility of birth. Confucius worked as a shepherd and a clerk; his mother died when he was 23, and as per tradition, he mourned for three years. He later credited this seclusion with giving him time for deep thought and intense study. Confucius said, "I am not one who was born in the possession of knowledge" and "real knowledge is to know the extent of one's ignorance." By age 30 he was respected as a great teacher. The works of Confucius were translated into European languages through the agency of Jesuit scholars stationed in China. 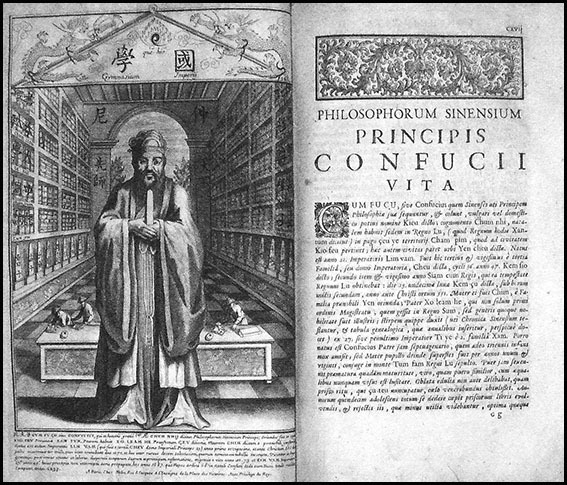 Matteo Ricci was among the very earliest to report on the thoughts of Confucius, and father Prospero Intorcetta wrote about the life and works of Confucius in Latin in 1687. Confucianism influenced Gottfried Leibniz, who was attracted to the philosophy because of its perceived similarity to his own. It is postulated that certain elements of Leibniz's philosophy, such as "simple substance" and "preestablished harmony", were borrowed from his interactions with Confucianism. The French philosopher Voltaire was also influenced by Confucius, seeing the concept of Confucian rationalism as an alternative to Christian dogma. He praised Confucian ethics and politics, portraying the sociopolitical hierarchy of China as a model for Europe. “Confucius has no interest in falsehood; he did not pretend to be prophet; he claimed no inspiration; he taught no new religion; he used no delusions; flattered not the emperor under whom he lived …” (Voltaire). I have an essay ENLIGHTENMENT that is pertinent in this context. In Confucian philosophy, filial piety is a virtue of respect for one's parents and ancestors. Confucian classics have historically been the authoritative source on the Confucian tenet of "filial piety". In more general terms, filial piety means to be good to one's parents; to take care of one's parents; to engage in good conduct not just towards parents but also outside the home so as to bring a good name to one's parents and ancestors; to perform the duties of one's job well so as to obtain the material means to support parents as well as carry out sacrifices to the ancestors; not be rebellious; show love, respect and support; display courtesy; ensure male heirs, uphold fraternity among brothers. Filial piety is considered a key virtue in Chinese culture, and it is the main concern of a large number of stories. One of the most famous collections of such stories is The Twenty-four Filial Exemplars. These stories depict how children exercised their filial piety in the past. While China has always had a diversity of religious beliefs, filial piety has been common to almost all of them; historian Hugh D.R. Baker calls respect for the family the only element common to almost all Chinese believers. Important military and political figures in modern Chinese history continued to be influenced by Confucianism. Referred to variously as the Confucian hypothesis and as a debated component of the more all-encompassing Asian Development Model, there exists among political scientists and economists a theory that Confucianism plays a large latent role in the ostensibly non-Confucian cultures of modern-day East Asia, in the form of the rigorous work ethic it endowed those cultures with. These scholars have held that, if not for Confucianism's influence on these cultures, many of the people of the East Asia region would not have been able to modernize and industrialize as quickly; for example, the impact of the Vietnam War on Vietnam was devastating, however over the last few decades Vietnam has been re-developing in a very fast pace. In modern times, waves of critique along with vilification against Confucianism arose, namely by Marxists during the Cultural Revolution. Numerous opinions and interpretations of Confucianism (of which many are actually opposed by Confucianism) were invented. After Confucianism had become the official 'state religion' in China, its influence penetrated all walks of life and all streams of thought in Chinese society for the generations to come. This did not exclude martial arts culture. 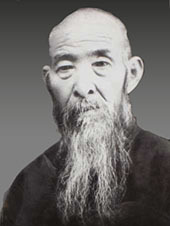 Confucianism heavily influenced many educated martial artists of great influence, such as Sun Lutang, especially from the 19th century onwards, when empty-handed martial arts in China became more widespread and had begun to more readily absorb philosophical influences from Confucianism, Buddhism and Daoism. 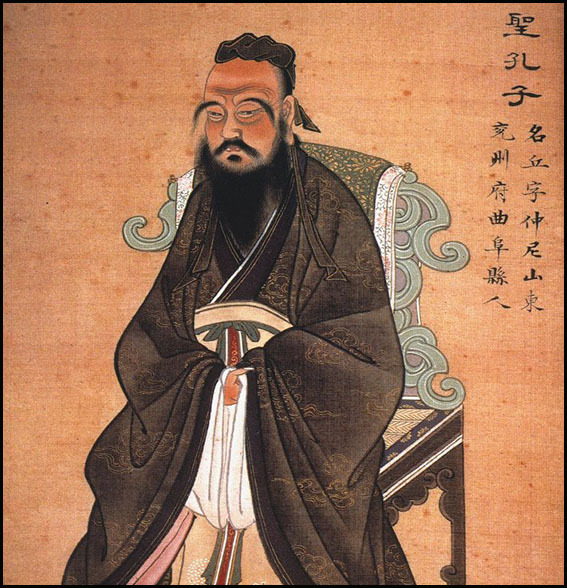 Some argue therefore that despite Confucius' own disdain with martial culture, his teachings became of much relevance to it. Sun Lu-t'ang or Sun Lutang (1860-1933) was a renowned master of Chinese neijia (internal) martial arts and was the progenitor of the syncretic art of Sun-style t'ai chi ch'uan. He was also considered an accomplished Neo-Confucian and Taoist scholar (especially in the I Ching), and was a distinguished contributor to the theory of internal martial arts through his many published works. Neijiais a term in Chinese martial arts, grouping those styles that practice neijing, usually translated as internal martial arts, occupied with spiritual, mental or qi-related aspects, as opposed to an "external" approach focused on physiological aspects. The distinction dates to the 17th century, but its modern application is due to publications by Sun Lutang, dating to the period of 1915 to 1928. Neijing is developed by using neigong, or "internal exercises," as opposed to "external exercises”. ·An emphasis on the use of the mind to coordinate the leverage of the relaxed body as opposed to the use of strength. ·The internal development, circulation, and expression of qi, the "vital energy" of classical Chinese philosophy. ·The application of Taoist daoyin, qigong, and neigong principles of external movement. Internal styles focus on awareness of the spirit, mind, qi ("energy") and the use of relaxed leverage rather than muscular tension. Pushing hands is a training method commonly used in neijia arts to develop sensitivity and softness. Much time may nevertheless be spent on basic physical training, such as stance training, stretching and strengthening of muscles, as well as on empty hand and weapon forms which can be quite demanding. Some forms in internal styles are performed slowly, although some include sudden outbursts of explosive movements, such as those the Chen style of Taijiquan is famous for teaching earlier than some other styles (e.g. Yang and Wu). The reason for the generally slow pace is to improve coordination and balance by increasing the work load, and to require the student to pay minute attention to their whole body and its weight as they perform a technique. At an advanced level, and in actual fighting, internal styles are performed quickly, but the goal is to learn to involve the entire body in every motion, to stay relaxed, with deep, controlled breathing, and to coordinate the motions of the body and the breathing accurately according to the dictates of the forms while maintaining perfect balance.